As I think about ads and products that I have seen for smartphones they are mostly geared towards the iPhone. But there are lots of other choices including the Android. Here some popular Green Apps for the Android Market. The Seasonal Harvest app helps you to locate locally grown food. This app will tell you what foods are in season and great dinner recipes. You can also search state by state for farmer’s markets. Price: The full app is $1.99 and there is a free version which provides less information. 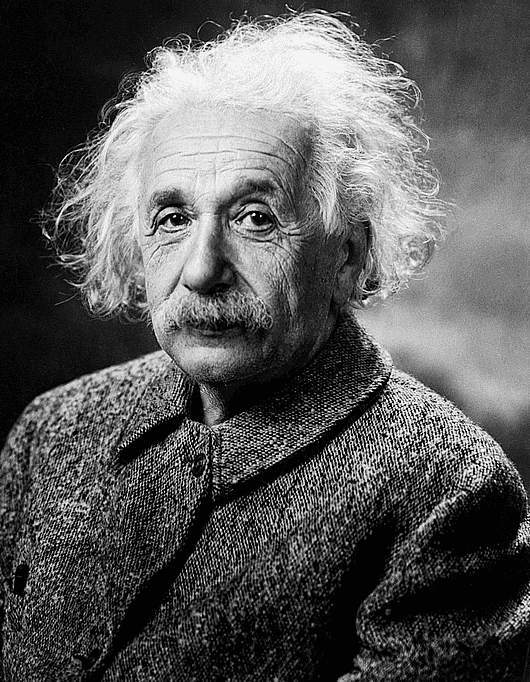 We all know Albert Einstein the scientist, but how much do you know about Albert Einstein the vegetarian? Mr. Einstein was a longtime supporter of vegetarianism and spent the last year of his life as a vegetarian. As declining health is frequently attributed to poor diet more people are embracing vegetarian and vegan lifestyles. What you think Mr. Einstein meant by this quote? Do you agree? Vegetarians and “non-vegetarians” we would love to hear from you! Indoor houseplants act as a natural air filter, cleaning the air and removing harmful pollutants from the air. NASA conducted a study in which plants were tested for their ability to create oxygen and filter toxins. The intent of the study was to find the best plants to filter air in the space station. The study produced a list of the plants they found filtered the air the best and recommended having 15-18 “good-sized” plants in a 1,800 square foot home. When choosing a houseplant remember to choose a plant that matches the growing conditions of your home. For example, you wouldn’t want a plant that requires full sunlight in a shady corner. Do you have houseplants for their air filtering potential or for the ambiance it adds to a space? E-Book enthusiasts …What’s your story? I was in a workshop recently where I saw a colleague reading an electronic book, on some sort of digital book reader. Unfortunately I’m not up to speed on e-book technology so I was unable to determine what type of device she was using. I thought it was an interesting concept but didn’t think about it again until reading an article in The Daily Green. The article points out that e-books have outsold paper copies on Amazon.com, and asks if this is good for the environment? My initial though was of course….you’re saving millions of trees. (Note: The actual number of trees saved annually was 125,000). But as I read further the article references a report by the Cleantech Group which looked at the environmental impact of the Amazon Kindle, an e-reader. The report found that the carbon emitted in the lifecycle of the Kindle would be fully offset in one year and any additional years of use would result in carbon savings. Skeptics say that because the number of e-readers sold each year is relatively low (compared to traditional books) and that the resources used to produce e-readers is unknown, the jury is still out. Tell us what you think. With all things considered, do you think that e-readers have less of an environmental impact than printed books? If you’re an e-book aficionado, why did you make the switch? Students, how would feel about electronic textbooks? The Huffington Post lists the Worlds Largest Farmers Markets and guess who made the list? The Dekalb Farmers Market (DFM) at #12. Located just 25 miles from Life University the DFM features a restaurant, fresh produce and seafood. The DFM produces a variety of specialty items which are all-natural and free of preservatives. This includes fresh and healthy pastas, soups, cakes, pizzas and sauces. While you’re there, look for the “Market Favorites” or “YDFM Brand”, which are made from scratch. The DFM prides itself in using organically grown and non-GMO ingredients. They also support small farms that employ humane, environmentally responsible and sustainable production methods. The DFM is open from 9am-9pm and accepts cash, debit, check and EBT. The Daily Green has devised a list of the best (and worst) takeout containers in terms of the environment. As I read the article the first thing that came to mind was the aluminum container in our fridge that holds leftovers from our favorite Mexican Restaurant. I also often wonder about how much pollution is caused by those cute little boxes from Chinese restaurants. But I was surprised to learn of other containers which are bad for the environment. As with any product there is good and bad….pros and cons. But how often do you consider how your food is packaged? Have you ever thought to ask that your baked potato come to your table aluminum foil free…or to bring your own container to the salad bar? No matter how environmentally savvy we are, at one point in our lives we have used a plastic shopping bag. Sometimes we reuse the bags, (I use them as trash can liners for smaller trash cans) but most often they end up in landfills. It’s become something you do without thought…you buy groceries and you carry them home in a plastic bag. But the way we think of these disposable bags could change if Georgia joins thirteen others states considering establishing a tax on plastic shopping bags. Currently Washington, D.C. is the only US city to successfully institute such a tax. In the first month the 5-cent tax brought in about $150,000 and nearly $1 million since January. Although the revenue brings in much- needed funds to the city, the most interesting statistic that has evolved is that plastic bag usage is down from 22.5 million bags per month in 2009 to only 3 million bags during the first month of the tax. So how does the tax work? Every retailer that sells food or alcohol is required to charge a 5-cent fee per disposable paper or plastic bag. The business keeps 1 cent, or 2 cents if it offers a rebate when you bring your own shopping bag. The remaining proceeds (3 or 4 cents) are sent to the Anacostia River Protection Fund to provide reusable bags, education and environmental clean-ups. Please share your thoughts on this issue? Would a 5-cent tax on disposable shopping bags move you to bring reusable bags? Knowing the benefit to the environment would you support such a tax? Thanks to ABC news for sharing this story.